Kevin Willis, a Blair resident and chief deputy of the Washington County Sheriff's Office, spoke about his first book, "Into the Alley," released April 12. He worked on the book for several years. Kevin says the book has a "gospel message through fictional characters." It's also available on Kindle, Nook and iBook. Kevin said he's planning a sequel. 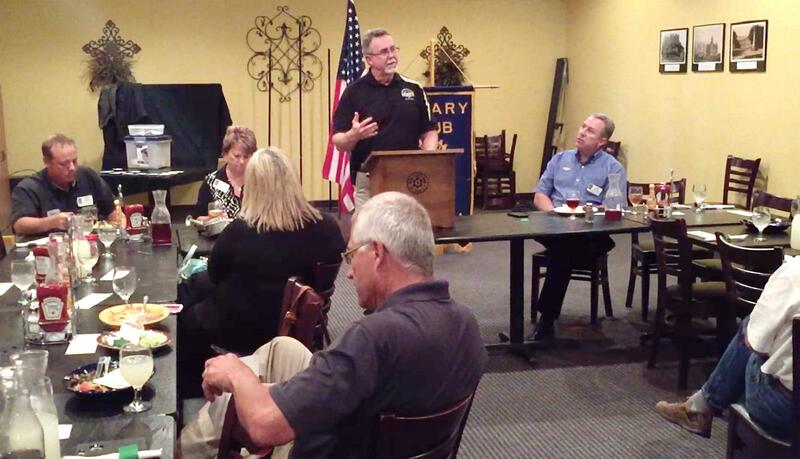 • Rotary District 5650 Governor Gary Bren of the Downtown Omaha chapter will visit Blair Rotary on Sept. 27.